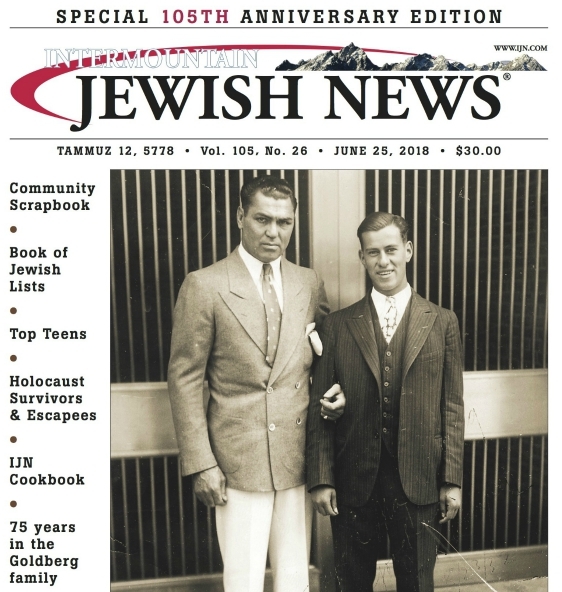 When the minimum wage went up 70 cents to $6.55 on July 24, Rabbi Steve Gutows relief embraced both American workers and national Jewish organizations that finally rallied round the cause. Apathy, rather than economic self-interest, was a significant factor in the delayed communal endorsement, according to Gutow, executive director of the Jewish Council for Public Affairs (JCPA). There was a level of apathy that needed to be confronted, says Gutow, whose organization led the Jewish communitys efforts to encourage Congressional enactment of the Fair Minimum Wage act of 2007. Gutow said it was initially difficult to galvanize Jewish action groups over the minimum wage debate because the lobby in our community tends not to be the poor Jews, he says. Our community does not think of itself as impacted by issues of poverty. It was not on their mind. Jewish theology teaches that poverty is a great evil, Gutow believes, and it was essential that we awakened our own people to their Jewish values. Under the latest increase, a person earning $6.55 an hour who works five days a week 52 weeks a year will now earn approximately $13,624 gross a year. According to 2008 guidelines issued by the US Dept. of Health and Human Services, this figure is $3,224 above the US poverty level for one individual  $10,400. However, if only one person in a family of three works, and he or she earns the current minimum wage, the family falls below the governmental poverty guidelines of $17,600 for a family of three. The July 24 wage increase is the second increase under the three-tiered Fair Minimum Wage act, which rolled out its first increase  the first in a decade  from $5.15 to $5.85 an hour last year. In July of 2009, the acts final increment will raise hourly wages to $7.25. About 1.7 million Americans in 23 states and the District of Columbia will be affected by the increase. Colorado, however, which has a current minimum wage of $7.02, is exempt. In 2006, Colorado voters backed a constitutional amendment that resulted in a higher hourly wage floor and annual increases tied to the local rate of inflation. State law now requires employers to pay whichever is higher, the national or state wage. JCPA launched its national anti-poverty initiative There Shall Be No Needy Among You last year to eradicate poverty in America. To kick off the initiative, JCPA called on 300 Jewish leaders in the New York City area to spend the week between Rosh Hashanah and Yom Kippur in a food stamp challenge. Participants, including Gutow, adjusted their lifestyles to subsist on the budget of food stamp recipients  $1 per three meals a day, totaling $21 a week  from Sept. 14-21. The action called attention to the inadequacy of the food stamp benefit and generate support for the reauthorization of the nutrition title of the 2007 farm bill. I did the challenge, and it was not fun, Gutow says. I was living on rice and lentils every day. The first day, I remember thinking, whats the big deal? Then I realized this was definitely not OK.
Jewish poverty in America still manages to escape the communitys ethical radar screen, he says. About 15% of Jews in America  783,000 Jews  live below the poverty level, Gutow says. According to JCPA , nearly one in 10 seniors subsists below the poverty line; 46% of Jewish immigrants from the FSU live in households with annual incomes of less than $15,000; and 12% of Jewish children live below the poverty line. Besides prohibitions against poverty, Jewish scripture sets very clear standards on fair worker conditions and compensation, Gutow says. We are commanded in Deuteronomy not to oppress a hired laborer who is poor and needy. Asked whether there might be Jews who oppose the minimum wage increase, Gutow hesitates.